Large Scale Interactive Hologram Projector showcased at Power Gen International 2016 in Orlando. Trade Show Holograms newest large scale dual sided interactive holographic projection system was showcased at the PGI 2016 trade show at the Orange County Convention Centre in Orlando Florida. Visitors to the SPX FLOW booth at PGI used the interactive touch screen to call up multiple 3D holographic projections on demand. 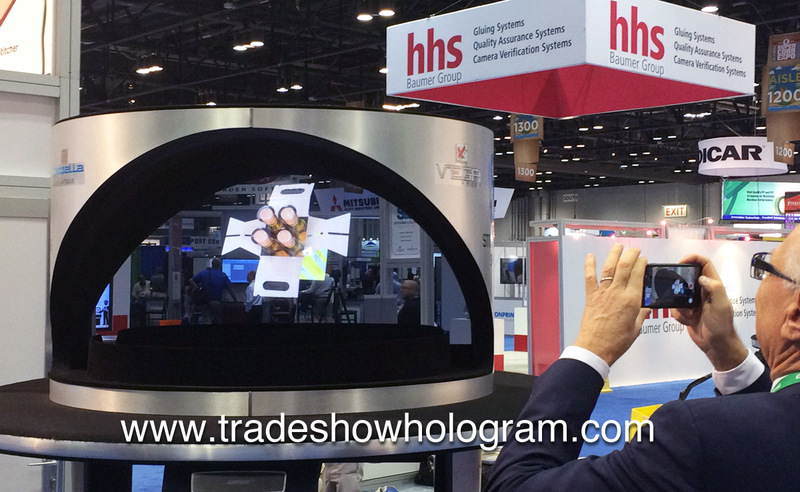 The dual sided hologram projector allows booth visitors to view separate holographic presentations on both sides at the same time without interfering with the opposing side. The system also features the new ” ultra bright ” technology which allows the images to remain bright and visible from greater distances in todays bright trade show environments. Viewers see holographic presentations floating in mid air without the need of any special 3d glasses or VR systems. The glasses free 3D system proves popular with trade show visitors. ASE Keynote speech presented with 3D Hologram Projection – wows crowd! Attendees at the 2013 ASE Scientific Sessions were treated to a high tech surprise when Dr. Partho Sengupta presented a keynote speech with the use of a large sized 3D Hologram Projector which displayed holographic images floating in the air beside him. The holograms were up to 8 ft tall and included a holographic teleconference with friend and mentor Jim Seward. The 27 minute presentation earned Dr. Sengupta a standing ovation from the audience. The company behind this amazing special effect was Trade Show Holograms which has been developing holograms large and small for corporate events, trade shows and conferences since 2006. The 3D projectors are for sale and for rent worldwide. The company has been developing the technology to a point that now allows for giant images to be projected in HD. The largest to date was 20 ft wide. 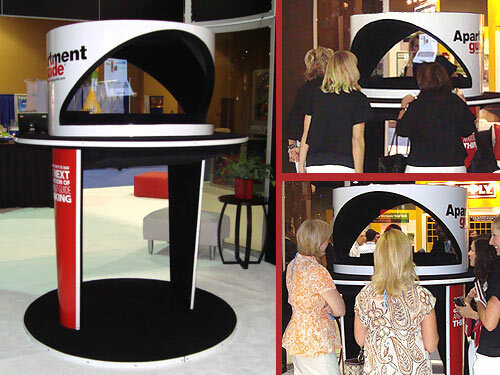 To meet the demand for life sized keynote holographic presentations Trade Show Holograms has also developed a portable hologram stage that can be displayed in a brighter trade show environment. That display can feature any CEO or keynote speaker as well as a virtual greeter, character or special effect such as a robot. Holographic Projectors display 3D video floating in mid air at trade shows. 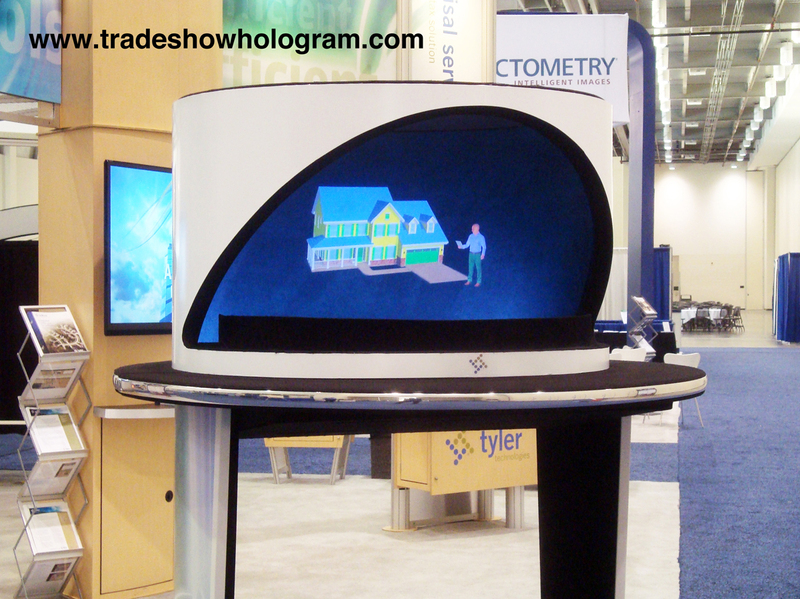 Holographic projectors offer trade show exhibitors a fun and eye catching way to attract attention to their trade show booth. 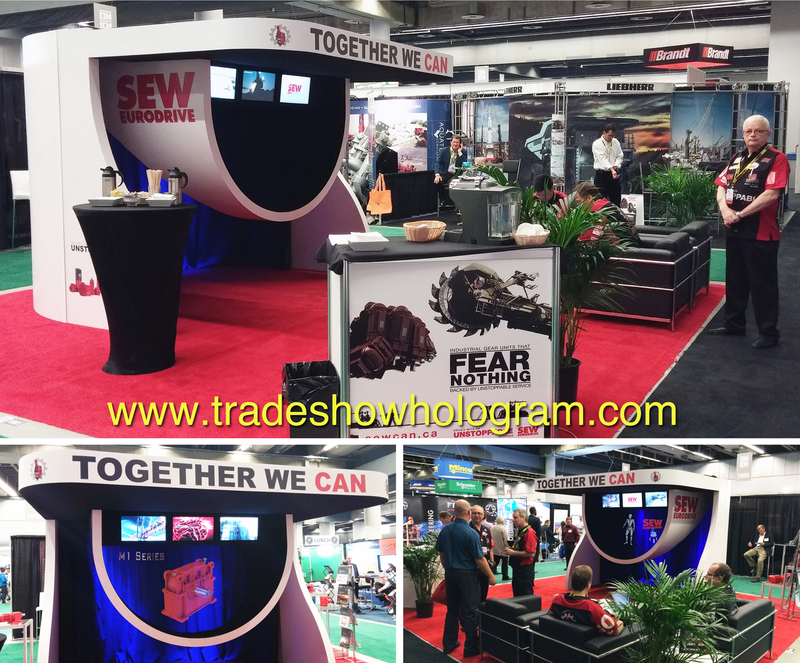 Trade Show Holograms is a company that has been creating custom hologram projectors for the trade show and special events market since 2006. The hologram projectors are available for both sale or as a rental. 3D Holographic projections are seen as 3D, full color and with audio floating in mid air. Hologram sizes range from 6 inches tall to 6 feet tall and up to 20 ft wide. 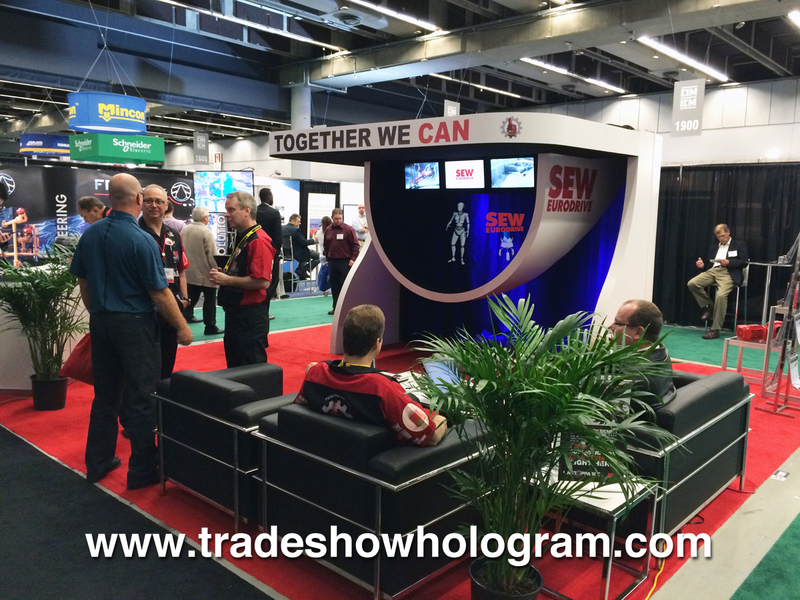 The company has created custom hologram projections for some of North America’s top corporations for trade show booths, press conferences and special events in both the USA and Canada. 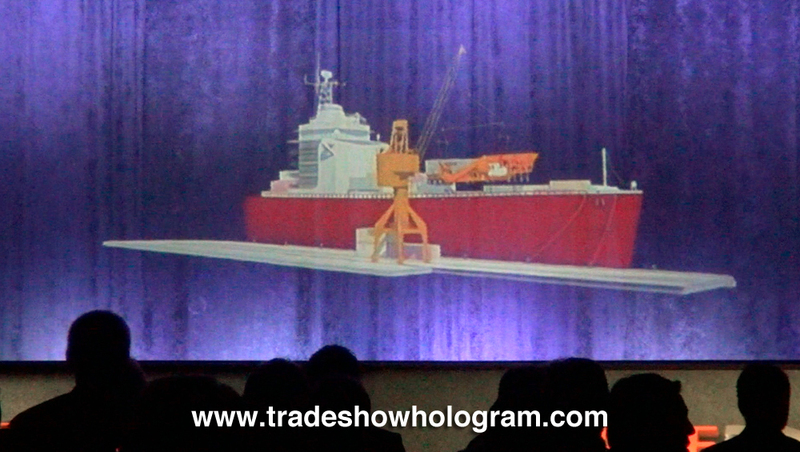 The hologram featured below was exhibited at a energy trade show and conference in Austin Texas. 3D Hologram projectors are available in multiple sizes from small to life size holograms. Corporate Illusionist Timothy Drake has created many shapes and sizes of his hologram projectors for Trade Show Holograms , a company that offers hologram rental. Trade Show Holograms recently created a large scale hologram display for the Boeing Company to exhibit at the 2012 Space Symposium in Colorado. 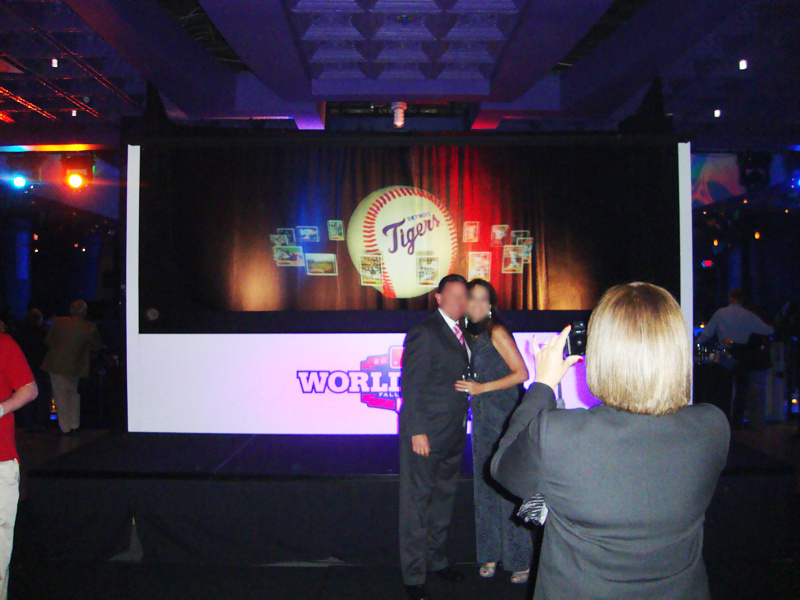 Trade Show Holograms created a large scale 3D Hologram Projection for the Detroit Tigers World Series Party held at the Motor City Casino in Detroit Michigan. Illusionist Timothy Drake designed the giant hologram display which was displayed at the main entrance to the event. 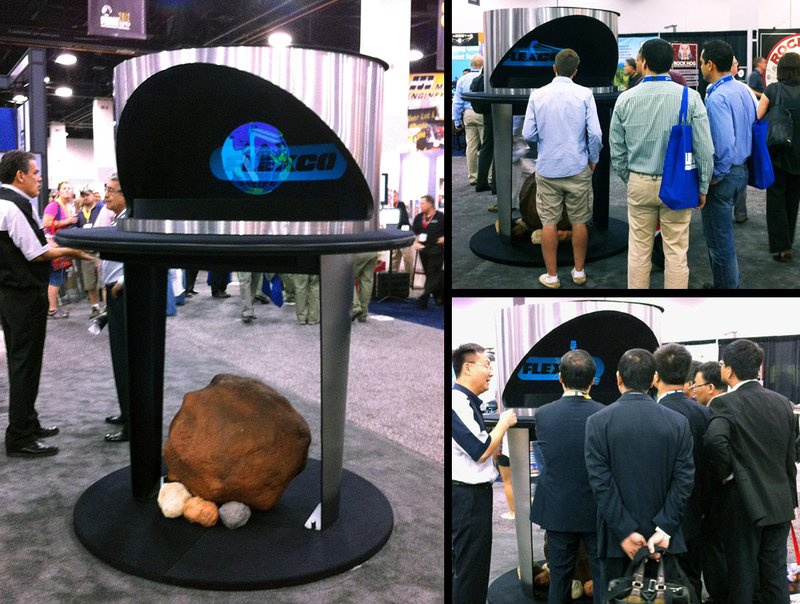 The displays are often used at trade shows and corporate press conferences across the USA and Canada. The Holographic presentation appears to float in mid air in 3D. When the Detroit Tigers hosted a part to celebrate making it to the world series the chose a 3D Hologram Projector to decorate the entrance to the main party room. Guests to the party stopped to pose in front of the large scale hologram projection. A hologram 4 ft tall and 10 feet wide floating in mid air. ( The latest large scale projection is a full 20 ft wide and 6 ft tall 0 The holographic presentation featured 3d video images promoting the teams star players. The hologram projectors created by corporate illusionist Timothy Drake are commonly used as exhibits at trade show booths and at press conferences or special events.